DOG INN AT HARVINGTON C.C. 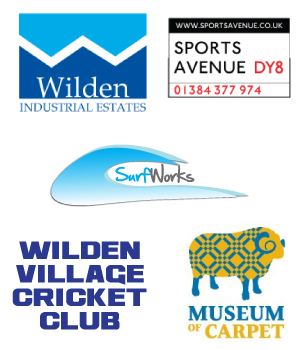 1) The Wilden Industrial Estates Cricket League (formerly The Stainweld Cricket League, Terry Church Print League and Kidderminster Friendly Cricket League) shall be referred to throughout the Rules as “the League”. The League has been in continual existence since 1976 and aims to provide competitive cricket for clubs in and around the Kidderminster/Wyre Forest locality and its immediate surrounds. 2) The League is affiliated to the Worcestershire Cricket Board (WCB) and, through the WCB, to the England and Wales Cricket Board (ECB). Rules and regulations that are mandated by the ECB are adopted by the League. 3) Membership of the League is by registration and newly registered clubs are accepted by vote at the next General or Annual General meeting. Each year member clubs confirm their intention to participate the following season at the September General Meeting. Clubs wishing to withdraw from the League for next season must inform the Governing Executive Committee (GEC) in writing by the September General meeting of the current season. 4) All member clubs must provide the League with full contact details of at least two people for listing in the handbook, and at least one e-mail address for correspondence with team officials. Additionally, clubs can nominate an ambassador who may be called upon by the GEC to represent the League at Cup finals etc. 5) The GEC shall satisfy themselves that existing teams continue to meet minimum standards (e.g. of ground facilities and organisation). All clubs must also adopt the ECB “Safe Hands” policy, including submitting to the League the name of at least one qualified Welfare Officer with responsibility for their club. Additionally all captains and vice captains must have a cricket Disclosure and Barring Service (DBS) check. 6) All grounds must be within a 15 mile radius of Kidderminster Town Hall (exceptions at the discretion of the GEC). 7) The GEC shall be elected at the Annual General Meeting (AGM) to administer the League in accordance with its rules, interpreted fairly in the best interests of the League, and to promote cricket within the local community. The GEC shall have the power to deal with internal domestic issues without the right of appeal by the clubs or players. 8) The GEC shall comprise of the Chairman, Secretary, Treasurer, and Umpires Association Representative plus up to five other elected members who, apart from the umpires’ representative, will each have one vote at League Meetings. 9) The GEC will meet at least once a month throughout the year, usually on the second Tuesday, or at their discretion. They have the power to bring to General Meetings proposals for changes to League rules or structures, as they see fit, in the best interests of the League. Minutes of the meetings are published on the League website. 10) General Meetings of the League will be held three times a year, as advertised in the handbook or at the discretion of the GEC. All teams are obliged to send a representative to General Meetings. 11) In addition to League General Meetings an Annual General Meeting will be held once a year on the 2nd Tuesday in November commencing promptly at 7.30pm; the following Tuesday being reserved should business dictate. All teams are obliged to send a representative. 12) The GEC have the right to call additional General or Extraordinary League Meetings, as they deem necessary. Teams may also call an EGM if they have the written support of more than half the teams in the League. 13) The League will also hold a Presentation evening, usually at the same time as the AGM, when trophies and prizes will be awarded. Clubs in possession of trophies should hand them in at the preceding September League meeting, if not before. Clubs are expected to look after trophies and they should be handed back in a good condition. 14) At League General Meetings teams may only vote on issues that affect them. Each team will have one vote per issue and may only vote provided the team is represented at the meeting. Votes will be passed on a simple majority. The Chairman will have the casting vote in the event of a tie. (above fees agreed at September 2018 general meeting). Fees for the following year will normally be set at the September General Meeting and become due at the AGM in November. 16) Registration of players is by appearance on the official League team card of any game administered by the League. Once a player appears on the team card for a club the League will consider him/her signed by the club for the season. Any player may represent a club in the League or Cup provided that they have not already played for any other club in the League that season, excepting when a player is correctly transferred (rule 19). New signings should be indicated (by asterisk) on the team card. (ii) Players who play more than 3 times for any one team in the League become Cup tied to that team. (iii) Players who play a Cup match for one team are tied to that team for the remainder of the Cup and may not play for the other team/s (see also rule 18). 18) Players in Semi-Finals or Finals of the Cup/Plate competitions must have already played in at least one Cup or League fixture for the team that season. Returning players (e.g. from long standing injury, university etc.) may be permitted to play if the club can show they are established, signed players (e.g. have played in previous seasons). If, due to the qualification system, a club is unable to field a full team they may appeal to the GEC with suggestions of alternate players. The League may grant permission to field alternate players but they may not bat above no. 7 and may not bowl. 19) Players wishing to transfer must have written agreement from the secretary (or other official) of both clubs, which will be forwarded to the GEC. If there is a dispute the matter will be resolved by the GEC. No transfers will be allowed after the June General Meeting, except by permission of the GEC and only in exceptional circumstances. Players owing monies to one club shall not be allowed to sign for a new club until such debts are paid. 20) All players must be covered by club insurance preferably by being members of the club. Guest players (not club members) are permitted so long as insurance allows and they have not played for another club that season. 21) Substitute fielders need not be signed players, however clubs should ensure all participants are covered by insurance. 22) Any team found guilty of fielding ineligible players shall forfeit the match, lose all points gained in such matches (or the tie in a Cup match), could be fined up to £50 and, at the discretion of the GEC, may be reported to the ECB. 23) Where a club is cited in a disciplinary matter, all players tied to that club may be held liable for penalties imposed (e.g. suspension from the League; see disciplinary procedures). 24) No artificial limits are to be placed on the standard of players that a team can field in the League. Indeed, the League welcomes players of any standard, from novice to international. However, umpires will be reminded of their powers to intervene in the case of intimidatory bowling, and captains are reminded of their responsibilities under the Preamble to the Laws of Cricket (Spirit of Cricket). Additionally, as a friendly league all captains are encouraged to consider the strength of the opposition and play the game in a sporting manner. See also rule 42. 25) All Fixtures are to be played as stated in the handbook. There is no allowance for re-arrangement of league games, except where stated in the fixtures when grounds are unavailable. In exceptional circumstances (e.g. where there is a clash of interests) the GEC may allow fixtures to be rearranged (see also rule 26, 27, 34, 51-53 & 55). 26) The question of fitness of the ground for play shall, in the first instance, be left to the club groundsman. When weather is inclement and/or the ground is clearly unfit for play it is the responsibility of the home team to notify the away team, and the umpires, at the earliest opportunity to avoid wasted journeys. Unless the away team, and the umpires, have been notified, they should turn up at the appointed time and conditions assessed before play begins. Umpire appointments can be found on the League web site. 27) Where a ground is deemed to be unfit for play games are usually abandoned, however, teams may reverse fixtures or find alternative grounds on the day provided both agree (appointed umpires should also be informed at the earliest opportunity). Where possible the GEC should be informed in advance of changes to fixtures, and executive approval sought (e.g. home ground moved etc.). Rescheduling (on alternative dates) of league matches due to unfit grounds is not usually permitted and can only be carried out with the agreement of the GEC. Playing of “double headers” is not permitted. Where opposing captains suspect that home clubs are abusing the “ground unfit” rule in order to avoid playing a fixture, they can submit a report to the GEC. Repeated allegations against the same club will be investigated. 28) On arrival at the ground it is up to the captains, in consultation with the umpires, to confirm the fitness for play, start time and length of game. After the toss has taken place the continued fitness of the ground for play, including the conditions of light and weather, shall be the sole responsibility of the umpires. Players are asked to respect the umpires’ decisions at all times. 29) Where both artificial and grass wickets are available (see types of wicket available in Club Contact details), the away team must come prepared to play on either pitch, depending on weather conditions. 30) Spikes are not permitted on artificial wickets except at the discretion of the club groundsman. Should any player attempt to bat or bowl or to keep wicket while wearing spikes, the umpire shall instruct the captain to order the player to change his footwear. Should this instruction not be carried out, the player will not be permitted to take part in the game other than as an outfielder. 31) Players should be suitably attired for cricket. The GEC refers all players to the Preamble to the Laws of Cricket (Spirit of Cricket), specifically point 4 regarding respect for opponents and the traditional values of the game, as well as point 1, the responsibilities of the captain. Exceptions will be made for stand-in players, debutants, etc, however players will be expected to obtain suitable attire after a few games. Anyone who repeatedly disregards this rule can be reported by the umpires to the GEC. Players sited will have to provide reasons for their repeated offending. 32) All grounds should be correctly marked, together with boundary markers and line. All Premier division league games, as well as all Cup games, will include a fielding circle marked by discs (see rule 56). Division A league matches are excluded from fielding circles. 33) Scoreboards and match ball(s) are to be provided by the home team in all cases. Pink or other high visibility coloured balls are strongly recommended. White balls are not permitted due to white clothing and sight screens. The home side must provide replacements for lost balls. If the match ball is recovered it must be reintroduced immediately. 34) In the event of the home team finding their ground unavailable the following prioritised guidelines should be applied to ensure the match is played (rather than automatically forfeiting the game). The GEC may be able to help with fixture problems given sufficient notice. Play fixture at alternative venue (including as a reversed fixture) within six days either side of the original date. Both teams are responsible for reaching agreement on one of the four alternatives. Where one team can offer a higher prioritised solution then this must always be taken (e.g. home team offers solution “iii”, away team can insist on solution “ii” if it is available). In the event of a rearranged venue, the initial home team continues that responsibility. The GEC shall adjudicate in disputes. If no solution is possible the home team shall forfeit the game and may be liable under rule 35, (see also unfit grounds rule 26 & 27). iii) At least 4 and up to 10 points will be deducted from the offending club(s). iv) For repeated offenders, at the GEC’s discretion, clubs may be charged with bringing the game into disrepute. 36) All games are played under the MCC Laws of Cricket 2017 Code and any recent updates (see www.lords.org), with the exception of the playing conditions defined below. 37) (a) Before the start of the match each team must fill in the League’s Official Team Sheet and Umpire Liability card. Cards are issued to each club at the beginning of the season. The home team should provide the card for the match. Both captains should enter their teams for the match on the card BEFORE THE TOSS. All players in the under 19 age group and younger should be identified in the boxes provided on the card. (b) The captains should read, fill in and sign the disclaimer on the back of the card before handing to the umpires for their inspection at the toss. If no official umpire is present the home team should forward the card to the results secretary. (c) Any person signing this card should be aware that liability effectively transfers to them. For this reason it is imperative that the signatory is a fully paid up member of the club and that the club insurance is adequate to cover the situation. 38) Each captain must inform the other, and the umpires, of the number of players in attendance at the official starting time. Any substitutes fielding at the start of play must be pointed out to the umpire. 39) Captains may not change the team once the card is handed to the umpire except on appeal to the opposing captain. In the event of any changes the umpires must always be informed. 40) ECB guidelines for young players (U19) must be adhered to at all times (rules 73 to 75). (a) If, in the opinion of the umpire at the bowler’s end, a bowler bowls a ball negatively past either side of the wicket in any over the umpire shall call and signal “wide ball” unless either umpire has already called “no ball”. Additionally, any ball passing unhindered outside the leg stump, unless passing between the batsman and the stumps, shall be deemed to be negative bowling and shall be called “wide ball”, without exception. (b) If a pitched delivery goes on to pass, or would have passed, above head height of the striker standing in an upright position (i.e. a “bouncer”), the bowlers end umpire shall call and signal “no ball”. Additionally, a bowler will only be permitted one ball per batsman per over which passes between shoulder and head high, signalled by the umpire. Further occurrences will be signalled no ball. (c) If a bowler bowls a full pitched delivery that reaches the batsman on the full above waist height (i.e. a “beamer”) the umpire shall call “no-ball” and warn the bowler. In line with MCC Laws of Cricket if the bowler bowls a second beamer the umpire is entitled to instruct the captain to take the bowler off immediately, any remaining balls in the over being bowled by someone who has not completed their quota. However, the umpire should consider the ability of the bowler and decide whether the beamer was intended or dangerous. 42) The League encourages participation of players of all abilities (see rule 24), however the umpire shall consider the ability of batsman and bowler, the light and the pitch conditions when deciding whether short bowling is intimidatory. In line with the 2017 Code the umpire can remove a bowler at any time if it is considered that the bowler has deliberately targeted the head or body of the batsman. Similarly, deliberate running through the crease shall trigger immediate removal from the attack. Any remaining balls in the over shall be bowled by someone who has not completed their quota. 43) In the event of the non appearance of opposition (GEC approved or otherwise), or the forfeiting of a match by one team, the non offending team will be awarded a win (see also rule 35). However, on days where all other matches in the same division are wiped out by weather then all games in that division will be considered abandoned, including previously forfeited games, regardless of prior arrangements. Exceptions are games that are played on days when the full programme is not enacted (e.g. Cup matches). 44) All matches to start at 6.30pm except in August where, due to reduced light, teams should make mutual arrangements for earlier starts, but no earlier than 6.00 pm. Umpires should be notified by the home team where early starts are scheduled. 45) Each innings shall consist of a maximum of 12 eight ball overs. Depending on weather, light and other considerations the duration of each innings can be reduced, by agreement between captains before the start of the game, to a minimum of 6 eight ball overs per team. Captains should seek the advice of the umpires when making their decision. In the case of a dispute over the agreed length of the game, the umpires shall adjudicate. 46) Each bowler shall be limited to a maximum of 3 overs each, regardless of the length of the game. Additionally, a minimum of 5 bowlers must be used during the innings, even in reduced innings games (e.g. by delayed start or captain’s agreement); the only exceptions being where a team is bowled out before the end of the innings or the innings is prematurely ended by weather. 47) If a team has 7 players in attendance they must take the field at the official start time. After 7.00pm or 6 overs, whichever is the sooner, no player may join a match except as a sub. There is no waiting time imposed on a late arrival before they can bowl (excepting as a sub). If both teams have less than 7 players at the official start time one over shall be deducted from each innings for every 8 minutes delay, or part thereof. As soon as one team has 7 players present they are deemed non offending. The offending team shall continue to have overs deducted from their innings at a rate of one every 4 minutes of time lost, or part thereof. When one, or both, side(s) has been deducted more than 6 overs the match will be abandoned and the points awarded to the non offending team. The offending team(s) shall be responsible for all expenses. The umpires shall forward a report to the GEC. 48) In the event of a delay to the start of the match, or during the first innings, due to weather or ground conditions, or other reasons, each innings shall be reduced by one over for every eight minutes, or part thereof, which is lost. Umpires are urged to use their discretion in this matter and their decision is final. Time lost during the second innings cannot be allowed for and on resumption the overs remaining stay the same. If bad light prevents the game being played to a finish then the match is abandoned. 50) (a) All League teams will be automatically entered into Cup matches unless they specifically request an opt out at the AGM. Teams knocked out in the first round automatically enter the Senior and Junior Plate competitions, respectively. Where division sizes or number dictate, the GEC reserves the right to vary the qualification or draw for Junior and Senior Cup as they deem fit, in the interests of the game. 51) Where Cup fixtures are scheduled for a Wednesday they must be played on the date stipulated by the League fixtures secretary. If any Cup game is scheduled for a day other than Wednesday then the home side must confirm the date with the away club as ground availability may vary. The home team must give the opposition fair warning of the date. 53) To avoid fixture congestion only one re-arrangement of Cup games is permitted. Both teams are responsible for agreeing the re-arrangement of the fixture and a result must be achieved at this time. Where teams cannot agree the League may intervene to impose a solution. Should it not prove possible to reschedule a game, or if weather or conditions again intervene, then the fixtures secretary will hold a lottery to decide which team will progress. (Rules 25, 26, 27 & 34, apply). (ii) Fixture can be decided by toss of a coin. (iii) Fixture can be re-arranged, if the game is not already a re-arrangement (see rule 53). If there is a disagreement over playing conditions the umpire will decide. 55) As a guide, matches postponed or abandon due to weather should be re-arranged for the following Tuesday (or before if the two teams agree and the GEC is informed). If teams have good reason, they may apply to the GEC for a longer period, which may be granted if fixture schedules allow. (a) Grounds will be marked out with a 30 meter fielding “circle” using a minimum of 10 discs (reducing to 20 meters on small grounds), as follows: Half circles, each with radius of 30 meters, are to be marked each end of the wicket with the stumps as centre. The half circles are then joined to each other by straight lines parallel to the wicket. (b) A minimum of half the team (including bowler and wicketkeeper) must be within the fielding circle as the bowler delivers the ball, for the whole duration of the game. This rule allows for occasions when teams are deficient in numbers, for whatever reason, including when players have to leave the field during play. Examples: (i) for a normal 11 players in the field, a minimum of 6 must be within the circle. (iii) for 9 players in the field, 5 must be within the ring. (c) If more than the permitted number of fielders are outside the ring as the ball is delivered either umpire will call “no ball”. Home teams will provide the means to mark out fielding circles. Any club without the means to mark out circles may apply to the GEC, who may provide suitable markers for deserving cases. Five nominated bowlers bowl three balls in turn at a full set of stumps. First to bowl shall be decided by coin toss. Run ups are not limited except by underfoot conditions, however the ball must be legal and no-balls are not rebowled. The most hits after 15 balls will be deemed the winner. Should scores be equal then sudden death will apply using the same five bowlers in the same order. ii) If still equal winner shall be the team with the highest total after 6 overs. v) If still equal decide by toss of a coin. 59) Dates and venues of all Cup Finals are to be published in the League’s handbook or on the League website. 60) In the event of only one scorer he/she shall be solely responsible for keeping the score. Any decision as to the correctness of the scores shall be the responsibility of both the umpires and scorers, their decisions being respected by the captains. 61) BOTH TEAMS shall be expected to submit the result (including abandoned games) to the results secretary on the night of the match. Results should be conveyed by SMS (text) message to 07726 007321. A more detailed result should then be submitted via the reporting system on the League’s section of the ECB Play-Cricket website. Results can be posted direct to the site or uploaded using the ECB mobile and tablet scoring app, downloadable from the Play Cricket website. Results will be posted on the league’s own website at the earliest opportunity. Results are no longer reported via the team card. 62) Results and League positions shall be posted on the web site. League positions displayed on the web site should be treated as a guideline only. Final League positions will be confirmed at the AGM once fines and disciplinary issues have been settled. iv) If equal, the greater aggregate runs scored shall be deemed the higher place. v) If equal, the team with the highest runs per wicket shall be the winner, averaged over the season. 64) Promotion and Relegation: Promotion is normally achieved by finishing first or second in the division at the end of the season. Clubs finishing in the bottom two positions in the division can expect to be relegated. Final positions are subject to ratification by the GEC. 65) Clubs will be asked at the AGM whether they wish to be promoted. The GEC will take their wishes into account when forming divisions for the new season, with the best interests of the League in mind. Care will be taken over the placement of newly elected teams. 67) Any club wishing to revoke their membership of the League should do so in writing at the September General Meeting (rule 3). Resignation from the League during the playing season, or after the AGM in November, may incur a fine of up to £100. 68) Failure to pay annual fees on time (rule 15) may jeopardise the club’s place for the next season. Additionally late payment will incur an additional registration fee of £10 per month overdue. 69) Fines associated with non-attendance at General Meetings are detailed below. Additionally teams will automatically be deducted 4 points for each non-attendance. 71) Clubs will be notified of any fines, in writing, each month. Clubs then have until the next general meeting, or AGM (depending on which is sooner), to pay. If payment is not received then the fine will be doubled and re-issued. At this time 4 points will be deducted. 72) Continued non-payment of fines shall be a disciplinary matter. 73) All players under the age of 18 must wear a “kite marked” helmet when batting or standing up to keep wicket. It is the responsibility of the captain to inform the umpires of any players under 18 and to ensure that they follow these rules and all ECB guidelines relating to young players. These now include the mandatory wearing of a “kite-marked” helmet by all players under the age of 18 and playing in an adult game, regardless of parental consent, except in exceptional circumstances. In such exceptional circumstances the consent must be in written form and umpires notified via the League approved team sheet before the start of play. Any player under the age of 19 is also covered by ECB fast bowling and fielding directives. The League and the Umpires Association will not be held responsible for any consequences if the guidelines are not correctly followed. 74) No under 11’s shall be permitted to play in League-organised matches. Under 13’s can only play as the responsibility of the club and must have written parental permission. It is very important to note that only a very low number of Under 12 age group cricketers are eligible to play open age cricket. Almost all juniors in the Under 12 age group are ineligible. For further details please see ECB Guidelines for Junior Players in Open Age Group Cricket. 75) Age groups of players are determined by age at midnight on 31st August in the year before the current season. 76) The League appoints qualified umpires to stand in all games under the League’s jurisdiction, to ensure correct and fair play. Appointments are made by the League’s umpire appointments secretary and are advertised on the League’s website. Changes to appointments will be notified to clubs via SMS message at the earliest opportunity. 77) In addition to appointing umpires, the League has appointed a Match Referee who has a roving portfolio and may appear at any game he chooses. The role of the match referee is to support the umpires. He has the same powers as the umpires to issue disciplinary penalties as he sees fit, having appraised the situation. Clubs and players should respect the Match Referee’s decision. 78) Umpires should aim to arrive at least 15 minutes before the scheduled start of the match. In the event of only one umpire being available or present, the batting side shall nominate a stand in umpire to operate Square Leg only and, ideally, the home team will provide a white coat. In the event of no umpires being available the captains will jointly nominate both umpires from the persons available as long as is necessary. 79) The home team shall report any umpire for non-attendance or late arrival. Reports to be made to the league’s Umpires Representative. 80) The home team should advise the appointed umpires of any cancellation or change of venue in good time. Umpire contact details are listed in the handbook and on the League website. Where umpires are informed that the match is cancelled, before travelling, they will not be entitled to any fee. If no notification is received then umpires should travel to the ground. On arrival, should conditions subsequently be deemed unplayable then umpires are entitled to the “cancelled match” fee. Otherwise umpires should be offered their full fee before the game commences. 81) The League’s Official Team Sheet and Umpire Liability card should be completed and signed by the teams before the start of the match (see rule 37). Umpires should also sign the card confirming that they have been notified of underage players. The card is retained by the umpire for legal and insurance reasons and they are subsequently responsible for forwarding it to the League fixtures secretary for safe keeping. If teams are unwilling to sign the card the umpires have the right to refuse to stand. 82) Umpire fees are set by the GEC in consultation with the League and the umpires association. Changes in umpire fees must be agreed at League General Meetings. 84) All clubs must be fully insured. Umpires must also be fully insured and it is their responsibility to ensure that they are. Clubs and umpires are advised to check that their insurance is adequate to cover the ECB initiative limiting umpires liabilities. 85) The League shall not be held responsible for any claim made against them including damage or loss of property, or injury to life or limb. 10×10 Cricket was invented by the WIECL to encourage participation of all players in the team. The idea of 10×10 is that is distributes the play throughout the whole team rather than rely on just the gifted few. Every player has to bowl and over and batsmen have to retire out at 20 runs. Rules of the game are as follows. S1) In 2019 the 10×10 competition is split into two separate Cups: the Audrey Burley Cup and the Kidderminster & District Cricket Umpires Association Cup. Matches will be played on a knockout basis with the winner progressing to the next round. Losers in the first round shall enter a Plate competition. S2) All fixtures are to be played as advertised; rearrangements are not permitted except by the express permission of the GEC (rule 51 applies). most runs is the winner, excepting in a tie. In the event of a tie the match should be decided using Cup rule 58. Number of wickets includes those retired out. Countback scores should be compared after 5 overs. Other Wednesday league rules should be adopted where appropriate, except for the following amendments. S4) In a team of eleven players one shall be nominated as the non bowling wicket keeper. The remaining ten players will all bowl one six ball over making up an innings of 60 balls. It is not permitted to swap the ‘keeper in order to allow him/her to bowl. An injured ‘keeper can be replaced but, if remaining on the field of play, cannot bowl. S5) Wides and No balls are called in accordance with normal laws of cricket and with reference to rule 41. Each wide or no ball shall count as 4 extras to the batting side, without the ball being re-bowled. However, all wides and no balls bowled in the last over of each innings must additionally be re-bowled. Extra runs can be scored off wides and no balls as per normal laws of cricket. S6) Bowlers run ups are limited to 8 paces, preferably marked out by the home side before the match begins, or, if not, by the umpire. Additionally, a fielding circle will be marked out using discs and fielding restrictions applied, as described in rule 56. S7) Batsmen retire “out” following the completion of the scoring stroke that takes their personal score to or beyond 20 runs. If a batsman fails to retire at the appropriate time his/her score shall be reduced to 20 runs. S8) If the fielding side has less than eleven players at the start of the game the umpire shall hold a lottery at the start of the innings to decide who bowls the remaining overs. Only the outfielders (not the wicketkeeper) can be included in the lottery. No player can bowl more than 2 overs in the innings. The fielding captain can then decide on the order that each bowler bowls their allotted overs, excepting that no bowler can bowl consecutive overs. S9) If a player is injured during the game and cannot bowl, or cannot complete their over, the umpire shall immediately hold a lottery amongst the remaining eligible outfielders to decide who bowls the outstanding balls/over. However, players cannot bowl consecutive overs so, for example, if a player has just bowled the 9th over they are not eligible to be in the lottery for the 10th over. If a bowler is injured and cannot complete their over then the player who bowled the previous over is not eligible to bowl the remaining balls of the over. The player who completes the over cannot bowl the next over. Where a substitute fielder is used due to an injury the substitute cannot bowl. Rule S4 still applies. S10) Results must be notified on the night (see rule 61). S11) The 10×10 format can also be played in a League structure (not applicable to the 2019 competition). Note: each player can score a maximum of 2 points per discipline (bat, bowl, field, keep) per match. There are up to 50 bonus points available per team per match. Where the match is a “final” the team that wins the match is deemed the winner regardless of the points total (see rule S11). The following regulations are produced by the ECB, apply to any player who plays for any club at any level under the auspices of the ECB and are intended to provide assistance and uniformity to all Clubs and Leagues in dealing with any alleged breach of the ECB Code of Conduct (Appendix 1) and MCC Spirit of Cricket (Appendix 2). The aim is to simplify the procedure for minor offences, whilst providing full rights for all accused and wronged, in accordance with ECB Guidelines. It is intended that any breach of the Spirit of Cricket should in the first instance be dealt with by the player’s club who shall notify the League of the result of any action taken against its player. For the purpose of these regulations, the expression of “the player” shall throughout these regulations be deemed to mean and include not only any player but also any member or official of any club or if appropriate, any other person involved in any incident of possible misconduct occurring on the field of play, or on the premises of the club, as may be appropriate in the particular circumstances. As member clubs of The Wilden Industrial Estates Cricket League, you have agreed to abide by the ECB Code of Conduct and accepted to abide by the League’s disciplinary procedures set out below. Every Player registered to play in the League explicitly acknowledges, by virtue of his registration, the constitution of the League and its procedures, and undertakes to be bound by them. As stated in “The Spirit of Cricket” it is the responsibility of the individual concerned AND his captain, club and team-mates to uphold standards of behaviour at all times. It is only when that has failed that there is a need for the umpire to report a player. The League is to provide the strongest possible backing to umpires, and to each Club as it undertakes to suspend any player reported by an umpire. The ECB outlines 4 levels of breaches in discipline, which are listed in Appendix 3. For minor offences, covered by level 1, the clubs take the disciplinary lead. Clubs are obliged to impose a ban for a period of at least two matches on any player who is reported to them by an umpire for discipline breaches relating to the ECB code of Conduct (Appendix 1) or the Spirit of Cricket (Appendix 2) of a level 1 nature. Umpires will also report the player to the League. For more serious offences, covered by level 2 and above, the League will normally call a Disciplinary Hearing as covered by the regulations below. The umpire will caution the player as to his conduct and advise him and his captain that it is a first and final warning. On any further breach the umpire will warn the player as to his conduct and advise him and his captain that a report will be submitted. This will result in an automatic two-match ban to be imposed by the club. The umpire will send a report to the League and the club must also notify the League as to the actions it has taken against the player. Failure of clubs to report actions to the League will result in a £20 fine. It should be stressed that there is nothing in this code preventing, or discouraging, clubs from applying additional, or stronger, sanctions against offenders, whether or not they are the subject of a report. To this end, it is recommended that clubs have their own code of conduct and disciplinary procedures in place. Level 2 Breaches – depending on the circumstances Level 2 breaches may also be dealt with in the same manner as level 1 except that the umpire may decide not to give a first and final warning but immediately warn the player as to his conduct and advise him and his captain that a report will be submitted. Clubs must report their actions to the league as for level 1 breaches. The League’s Disciplinary Convenor will decide if the automatic two match ban is sufficient or if a discipline hearing should deal with the matter. Level 3 & 4 Breaches – will be reported to the league and be dealt with at a disciplinary hearing. Level 1: Warning then 5 penalty runs to the opposition for a repeat offence. Level 3: Offending player is suspended for a number of overs, depending on the length of the match, plus 5 Penalty runs to the opposition. Players can familiarise themselves with the various types of bad behaviour covered by the new sanctions by consulting law 42 of the 2017 code. Upon receipt of an umpires report a Disciplinary Hearing will normally be called by the Disciplinary Convenor and shall be formed from the League’s Governing Executive Committee. At least 7 days notice in writing of the hearing and of the offence alleged shall be given to the player(s) or his/her representative, or in the case of a Club, it’s Secretary, in writing. The player or Club shall be entitled to attend the hearing (in the case of a Club by its secretary or other official), to be legally or otherwise represented and to call witnesses; up to 3 in normal circumstances. Failure to attend a disciplinary hearing may attract a fine of up to £50, and/or a ban from the league, and/or (where a club is cited) a deduction of points. (Save that player may be for the same offence both suspended and fined). expulsion from any cup competition of the League. (Save that a Club for the same offences may be subject to both deduction of points and a fine). A player or Club found by the Disciplinary Committee to have committed an offence or upon whom the Disciplinary Committee has imposed a penalty, shall have the right of Appeal to the Appeals Committee which will comprise of persons not included in the original hearing. The membership will consist of independent persons appointed by the League committee. A deposit of £50 shall be lodged with the appeal, returnable if the appeal is upheld. The Appeal shall be by way of rehearing. The player or Club shall have the same rights of attendance and representation, and to call witnesses as they had before the Disciplinary Committee. The Appeals Committee may confirm, vary or reverse the decision of the Disciplinary Committee. It shall also have the power to increase the penalty. The Appeals Committee shall also have the power, where they consider the appeal to be without merit, to order that the deposit be forfeited. The decision of the Appeals Committee, or if no appeal of the Disciplinary Committee, shall be final and binding. 1 The ECB is committed to maintaining the highest standards of behaviour and conduct. This Code of Conduct incorporates the Spirit of Cricket, as set out below. It applies to all matches played under the auspices of the ECB and may be applied to cricket in general. 2 The captains are responsible at all times for ensuring that play is conducted within the Spirit of Cricket as well as within the Laws. 3 Players and team officials must at all times accept the umpire’s decision. Players must not show dissent at the umpire’s decision or react in a provocative or disapproving manner towards another player or a spectator. 4 Players and team officials shall not intimidate, assault or attempt to intimidate or assault an umpire, another player or a spectator. 5 Players and team officials shall not use crude and/or abusive language (known as “sledging”) nor make offensive gestures or hand signals nor deliberately distract an opponent. 6 Players and team officials shall not make racially abusive comments nor indulge in racially abusive actions against fellow players, officials, members and supporters. Clubs must operate an active open door membership policy whilst respecting player qualification regulations and welcome players/members irrespective of ethnic origin. 7 Players and team officials shall not use or in any way be concerned in the use or distribution of illegal drugs. 8 Clubs must take adequate steps to ensure the good behaviour of their members and supporters towards players and umpires. Cricket is a game that owes much of its unique appeal to the fact that it should be played not only within its Laws but also within the Spirit of the Game. Any action which is seen to abuse this spirit causes injury to the game itself. The major responsibility for ensuring the spirit of fair play rests with the captains. There are two Laws which place responsibility for the team’s conduct firmly on the captain. The captains are responsible at all times for ensuring that play is conducted within the Spirit of the Game as well as within the Laws. In the event of a player failing to comply with instructions by an umpire, or criticising by word or action the decision of an umpire, or showing dissent, or generally behaving in a manner which might bring the game into disrepute, the umpire concerned shall in the first place report the matter to the other umpire and to the player’s captain, and instruct the latter to take action. According to the Laws the umpires are the sole judges of fair and unfair play. The umpires may intervene at any time and it is the responsibility of the captain to take action where required. Throwing the ball at or near a player, umpire or official in an inappropriate and dangerous manner. Using language or gesture that seriously offend, insult, humiliate, intimidate, threaten, disparage or vilify another person on the basis of that person’s religion, sexual orientation, colour, descent or national or ethnic origin.